Hypnosis has the great benefit of being able to access the mind deep into the subconscious, while the conscious is on stand-by. Our mind is prepared to experience the continuity of time, filtering experiences and making them unavailable into compartments in our mind. The subconscious mind functions at a level deeper than our usual level of awareness. The subconscious is not limited by logic, space and time. It can remember everything from any time. When you are hypnotized you are not asleep. Your mind can comment, sense, and criticize. You will remember everything experienced during the session. In hypnosis your mind is always aware and observing. This is why people can recall past life memories and retain the awareness of the present at the same time. Some experiences from different lifetimes have had a strong impact and caused traumas that still being carried on in this current lifetime. 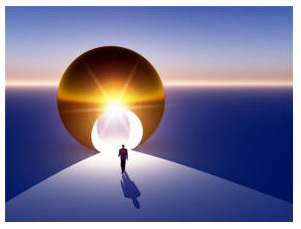 It is important to have an open mind when it comes to past-life regression. A person’s ability to experience hypnotic suggestions can be inhibited by fears and concerns arising from some common misconceptions. Hypnosis makes it easier for people to experience suggestions, but it does not force them to have these experiences. Hypnocell® has a program directed to those who need to go back in time and find out if the real root of their current problem in this lifetime was experienced on a previous life. The person will go back to an earlier time, in order to retrieve memories that may still be negatively influencing the present life, and may be source of present symptoms. The program will use a pathway to bypass conscious barriers that prevent people from consciously access past lives. One or two sessions might be enough for the person to find the root and/or cause, although they might jump from one lifetime to another without finding the root until a second or even third and four sessions are performed.